What's It Like In Holly Springs, NC? Holly Springs, North Carolina has a lot to offer for anyone looking to live in the Triangle area. Many people here work in the Research Triangle, enjoying the benefits of a small community with excellent career opportunities nearby. Residents love to get outside, and the town has made great strides in making the community more connected for walking and biking. Housing Variety: Holly Springs has something for everyone. Whether you’re searching for a new home, an established neighborhood, a walkable townhome, or a luxury estate home, you’ll likely find it in Holly Springs. Up-and-coming Community: Holly Springs has seen considerable growth, and thanks to its excellent Triangle location, there’s no sign of that growth stopping anytime soon. If you’re looking for a new, forward looking town, consider Holly Springs, NC. Great Schools: Holly Springs has highly-ranked schools with excellent ratings from parents. There are also a number of school options in the area. Connectivity To The Triangle: Thanks to its location near the intersection of NC-540 and Highway 1, Holly Springs is a great option for anyone who needs to live close to RTP and RDU. Town Transparency & Communication: The Town of Holly Springs has won multiple awards over the years for communication and financial reporting. The town’s website has a wealth of helpful information about everything from community programs to current and future development. Where is Holly Springs, North Carolina? Holly Springs is located toward the southwest corner of Wake County, North Carolina. It is bordered by Apex to the north and Fuquay-Varina to the south. The Shearon Harris Reservoir and Harris Lake County Park are to the west, and a portion of southern Raleigh lies to the east of Holly Springs. The town’s location is a bit further from Raleigh-Durham-Chapel Hill than other neighboring communities like Garner, Apex, and Cary. Raleigh is just over 18 miles from Holly Springs, while Durham and Chapel Hill are both nearly 30 miles away. Many residents in the area like this distance between their home and the core three communities of the Research Triangle however, as there seems to be quite a bit less congestion and hustle-and-bustle on a daily basis. In a town with as much development and growth as Holly Springs, you can bet the residential real estate market here is thriving. The estimated median home value for Holly Springs in 2017 was around $270,100, which has significantly increased since 2000. A number of attractive subdivisions and housing developments offer plenty of desirable housing options and opportunities for home buyers considering the area. If it’s a plush, newer single-family home you’re after, taking a closer look at what’s available in 12 Oaks, Cassidy, Holly Glen, Sunset Oaks, and Sunset Ridge is definitely in your best interest. Looking for townhome living? Check out Twisted Creek or Arbor Creek. They may have exactly what you’re looking for given the affordable price points and ample living space featured at properties here. There’s plenty to fall in love with when it comes to Holly Springs, NC homes for sale and if you’d like more information about the area, or would like to schedule a private showing for an available MLS listing, give Brandon Duncan with Duncan Prime Realty a call today at (919) 808-2001! Families in Holly Springs are served by the Wake County School System. Public schools in Holly Springs are highly rated online. Parents may also choose from the public charter and private schools in and around Holly Springs. As part of the Triangle area, Holly Springs residents are close to a number of excellent, well-known colleges and universities such as Duke University, UNC, and NCSU. Additionally, Holly Springs is less than 20 minutes drive from two Wake Tech campuses. 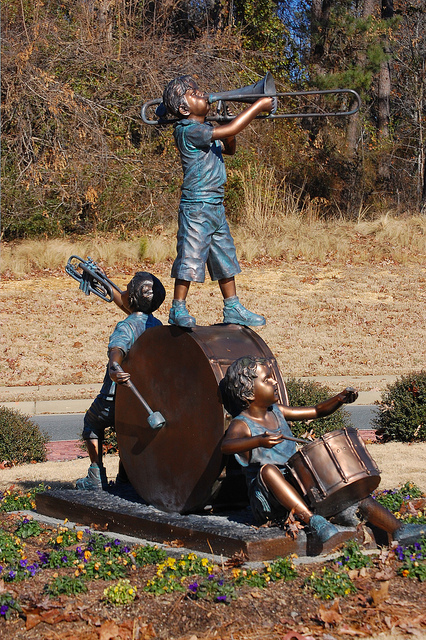 In 2006, the Holly Springs Community Library and a cultural arts facility opened, giving residents access to learning, programs, and cultural resources. Thanks to its location near NC-540 and US Highway 1, and along NC Highway 55, Holly Springs is well connected for car travel within the community and to neighboring towns. Holly Springs is considered “Somewhat Walkable” with downtown having the most walkable communities. Holly Springs has made a concerted effort to improve connectivity with sidewalks and greenways. Holly Springs welcomes small businesses, and it offers a number of resources to help facilitate local businesses. The Holly Springs Parks & Recreation department manages several parks, miles of greenway, a recreation center, a cultural arts center, and a lake and retreat center. The Parks & Rec Dept. offers a myriad of programs including athletics, classes, camps, and lots more. If you're looking for things to do in the Holly Springs area, you'll have no shortage of options. These three favorites regularly make the list of "Best Things To Do in Holly Springs." Offering memberships, classes, camps, and birthday parties, Daniel Dhers is the place for BMX, MTB, skateboarding, and more. Get back to nature at Bass Lake Park, which offers trails, boating, fishing, picnic shelters, and Geocaching. One of the oldest breweries in the state, the Carolina Brewing Company remains a Triangle favorite that is highly-rated online. If you're looking for great food and a fantastic dining experience in Holly Springs, you won't have far to go. These 3 spots regularly top "Best Restaurants in Holly Springs" lists. This place looks like the standard strip mall Chinese restaurant, but the food is fresh, home-made, and high quality. They get rave reviews online for consistent quality and friendly service. Choose from the 19 draft beers on tap, 15 of which are NC brewed, and order freshly prepared food from the all-American menu. Online, folks rave about the homemade chips! An area favorite, The Mason Jar Tavern gets high marks for delicious food, great atmosphere, and friendly service. There are two locations, one here in Holly Springs and one in Fuquay-Varina. The Fuquay-Varina location also makes our list for great restaurants. Holly Springs, North Carolina is a town with a history that dates all the way back to before the Civil War. It is believed the town was formed around the fresh water springs of what’s considered the original Holly Springs—which today is near the intersection of Avent Ferry Road and Cass Holt Road. Despite its historic background however, Holly Springs didn’t actually see substantial growth until the community’s first sewage plant was built in 1987. Since then, population has soared and Holly Springs is now home to 31,377 residents as of 2015—a number that’s grown substantially since the 2000 population of 9,192.